Europcar now rewards you with Fly Buys points! Whether you’re embarking on a road trip, in need of a weekend rental or heading away on business, Europcar is here to help make your journey enjoyable, stress free and rewarding. Collect points on Europcar rentals in New Zealand, Australia and selected international destinations. Choose from their range of latest model cars featuring affordable sedans through to luxury SUV models, and vans. When you book with Europcar New Zealand, you’ll get 1 point for every $20 NZD spent in New Zealand and 1 point for every $20 AUD spent in Australia. Want to explore beyond New Zealand and Australia? Europcar is the first and only car rental partner to offer Fly Buys points overseas. Get 20 points per rental at selected international destinations. Just call 0800 800 115 or book online at europcar.co.nz. Remember to submit your Fly Buys number at the time of booking and the account holder must be the named driver on the rental agreement. Europcar love to see their customers being rewarded with Fly Buys - so make that dream trip happen and earn points as you go. Points are issued on the base rate (time and kilometre) of rental only. Points are not issued on premium location surcharge, fuel, cover products, admin fees, GST and other miscellaneous stays. Points may not be issued on staff rates, corporate rates, redemption bookings, tour or certain travel industry rates, insurance and leasing vehicle rates, Europcar mini-lease rates, complimentary rentals, rental products such as ski racks, infant seats etc. and rentals booked with offers at a discount of 20% or more where the offer has stated that it won’t attract loyalty program benefits. 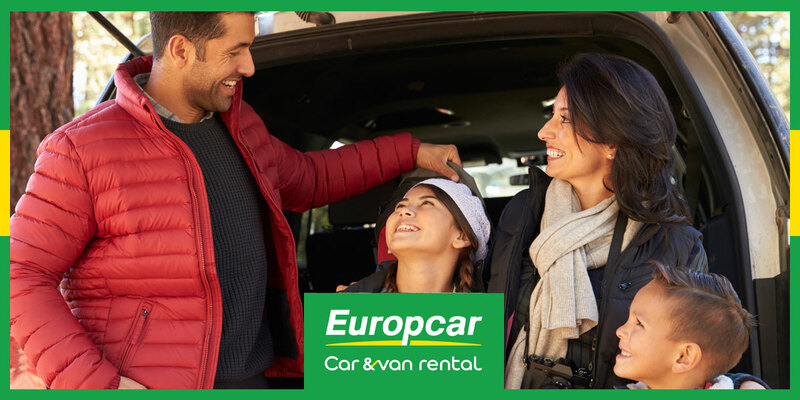 Fly Buys points will be awarded for Europcar rentals at all eligible corporate Europcar locations when booking directly via Europcar using your Fly Buys New Zealand member number. For pick-ups in Australia, collect 1 point for every AU$20 spent. For pick-ups in New Zealand, collect 1 point for every NZ$20 spent. For pick-ups at eligable Europcar corporate locations outside of Australia or New Zealand (France, UK, Germany, Spain, Portugal, Belgium & Italy), collect a total of 20 points per rental when booking directly via Europcar New Zealand using your Fly Buys New Zealand member number. Members must quote their Fly Buys New Zealand number when making a reservation or at the counter at checkout.